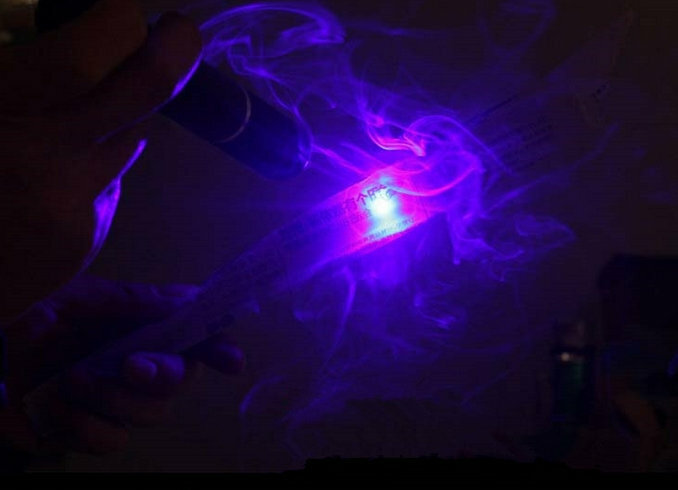 This 1500mW 450nm Blue High Power Burning Laser Pointer can ignite matches, burn papers and wood. 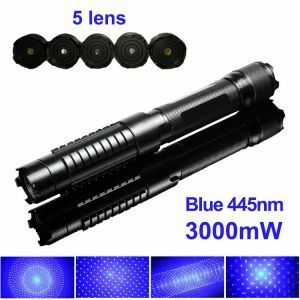 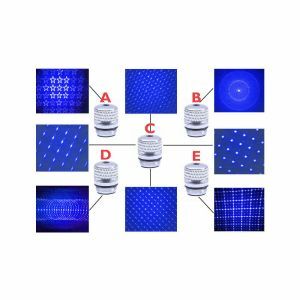 It is a real 1500mW blue laser, same as some sellers labeled "10000mW" or "10w laser". 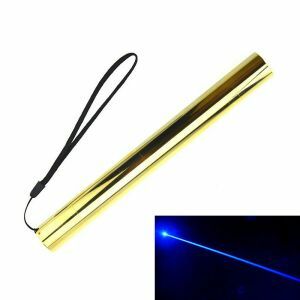 There are optional shell colors: black, silver, gold, blue, dark pink. 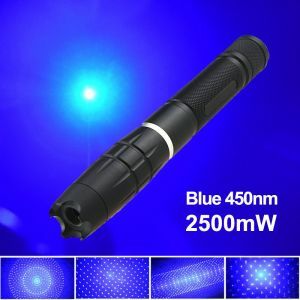 This 1500mW 450nm Blue High Power Burning Laser Pointer can ignite matches, burn papers and wood. 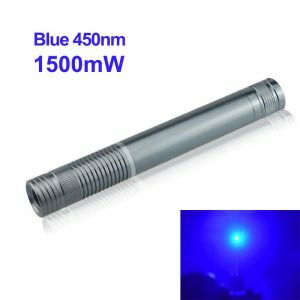 It is a real 1500mW blue laser, same as some sellers labeled "10000mW" or "10w laser". It is powered by 2 16340 batteries, laser range is more than 10000m / 6.21 miles, focus is zoomable, laser lens is interchangeable, the lens screw diameter is 11.28mm. 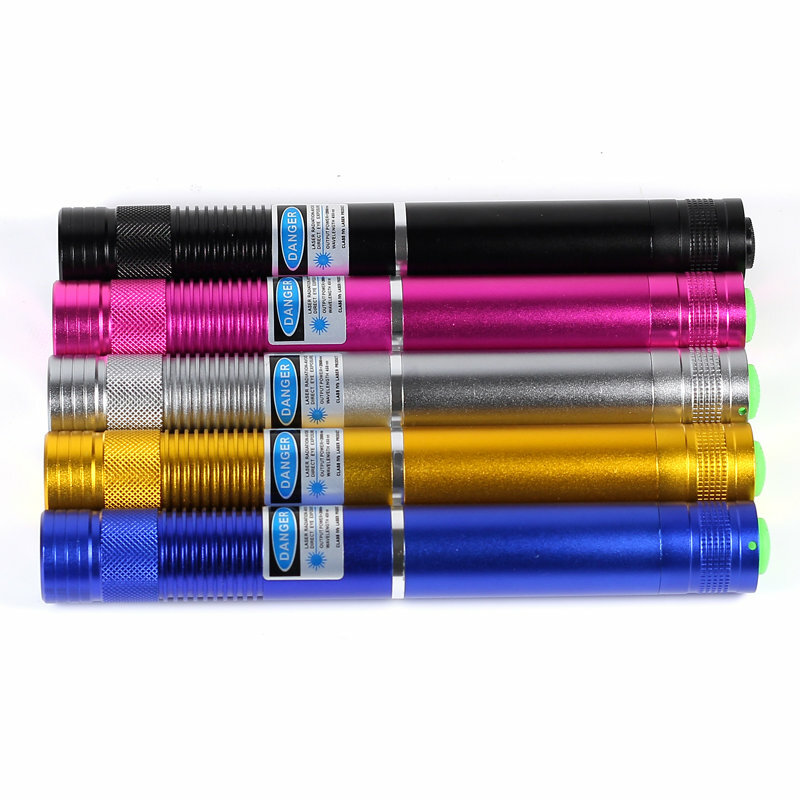 There are optional shell colors: black, silver, gold, blue, dark pink.